On Wednesday, Oct. 24, the 8th grade class visited the Bloomington Area Career Center at the Interstate Center as a field trip. The students had the opportunity to visit different booths that were related to college and career readiness. 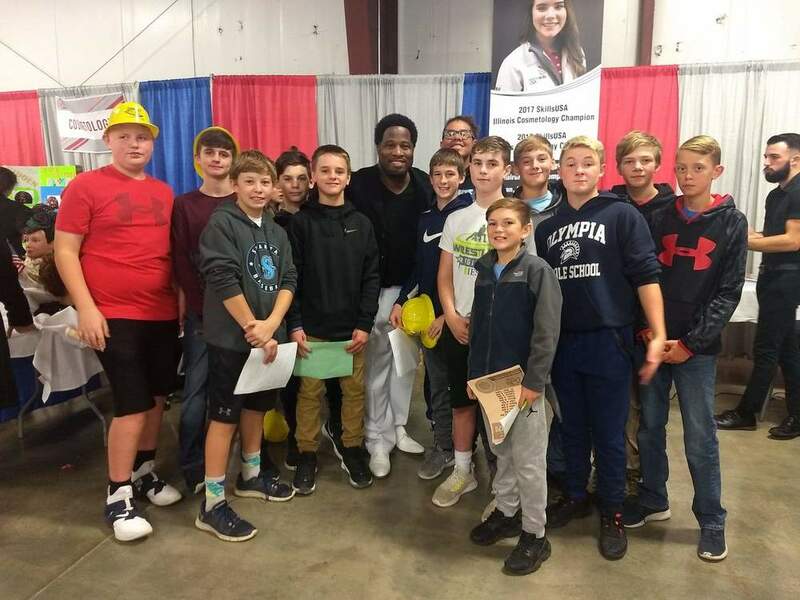 The Career Expo is offered every year to 8th grade students in the Bloomington-Normal area. At each booth, students could participate in various hands-on activities that relate to different careers. Some of these included practicing surgery, trying on real firemen gear, shingling a roof, working with digital media, practicing their culinary arts skills, and so much more! This was a great opportunity for the students to experience career options with real local businesses. It gave students a chance to develop an idea of what they would like to do in the future before they transition to high school.